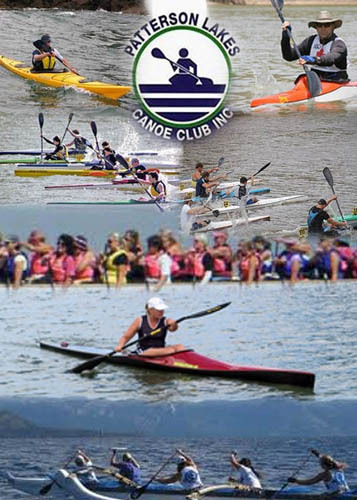 Our club consists of active members of all ages who paddle in a variety of craft, waters and competitions. The club has members and coaches keen to assist anyone interested in starting or improving their kayaking. Regular training and safety skills coaching is available from qualified personnel. NEW TO THE CLUB OR INTERESTED IN TAKING UP KAYAKING? The club can supply boats and safety equipment for prospective paddlers of any ability. Our regular 'Come & Try Sessions' consist of FOUR sessions for a donation of $80. ($40 juniors over 12.). If you subsequently join the club after the 'Come and Try', this fee will be deducted from the joining fee. and thereby work out what kind of boat and discipline suits you. (Please note there is a short break over winter and sessions resume from 1st October). Come and try forms are available here for downloading and printing. You can join the club by completeing your details here in the Australian Canoeing database, who will forward your details to us at PLCC. Check out our 'Come & Try' Schedule at the bottom of this page. The membership fees for 2017-2018 are here. Note that PLCC members agree to abide by (i)PLCC Rules (ii) Code of Conduct and (iii) Boat rack policy. *Unless otherwise stated the come and try sessions are on a Sunday morning.